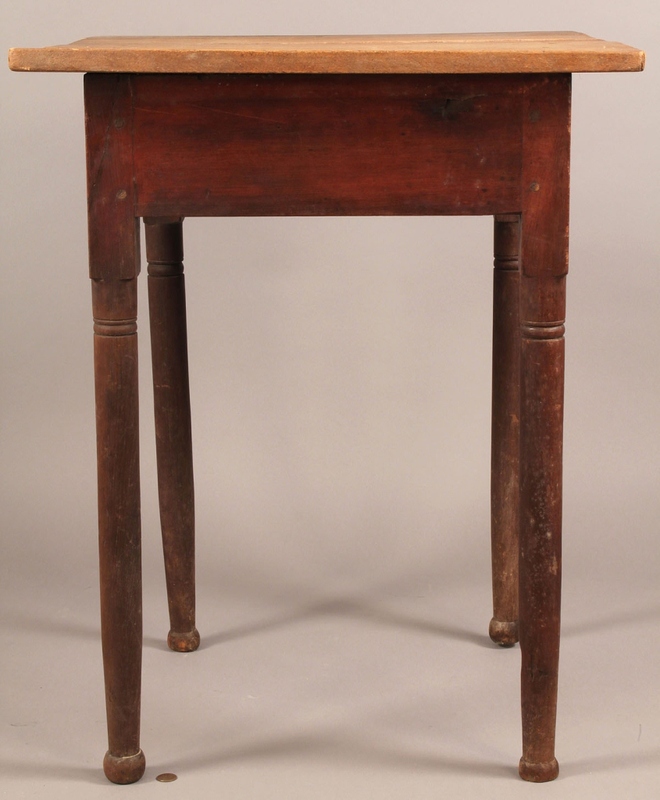 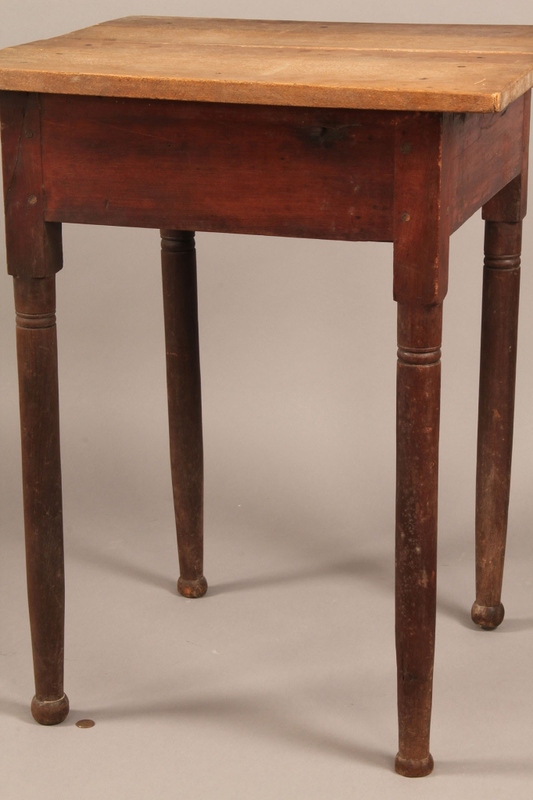 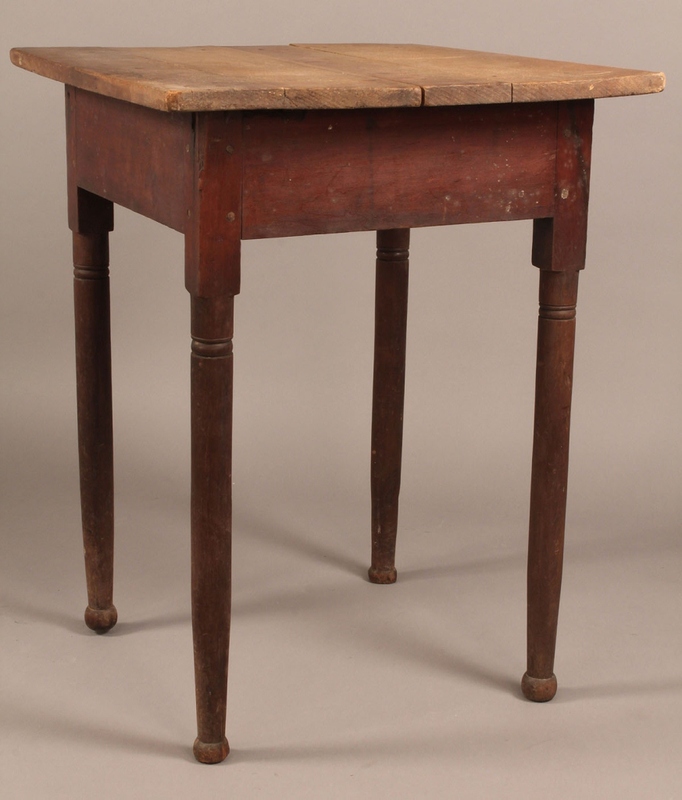 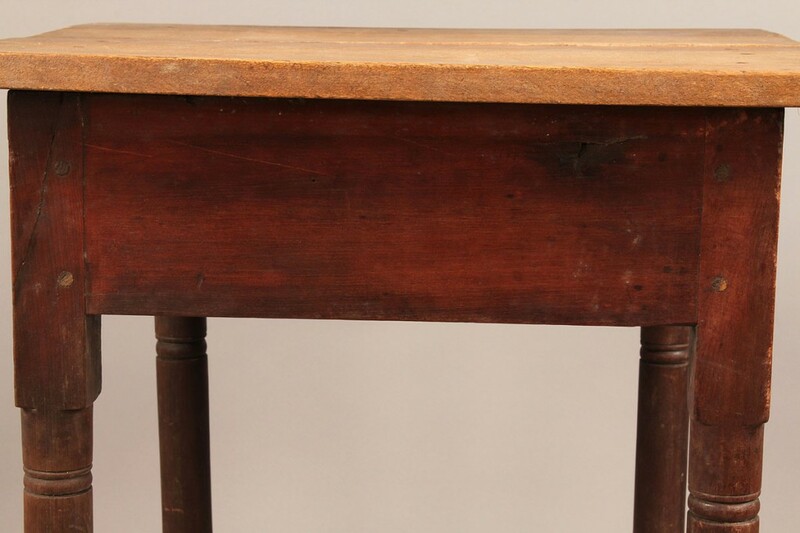 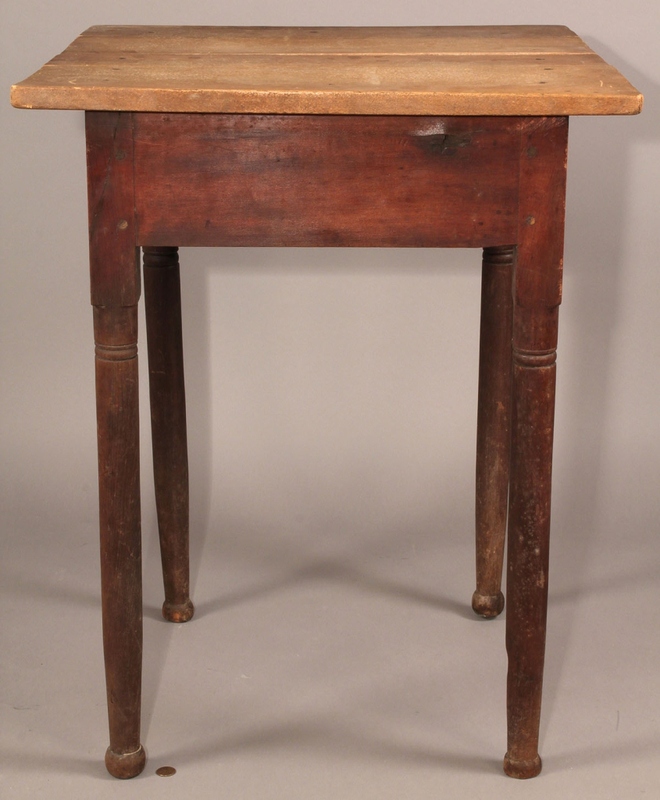 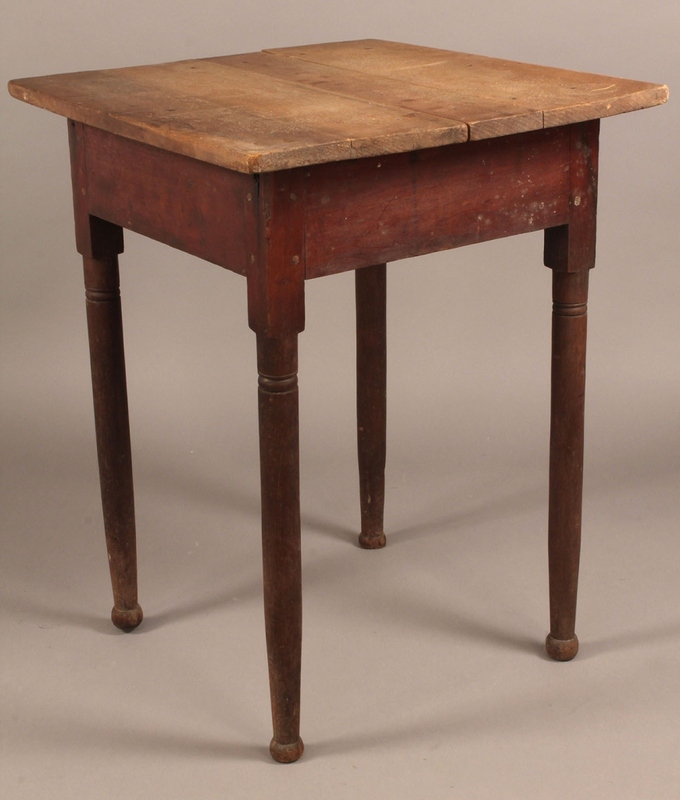 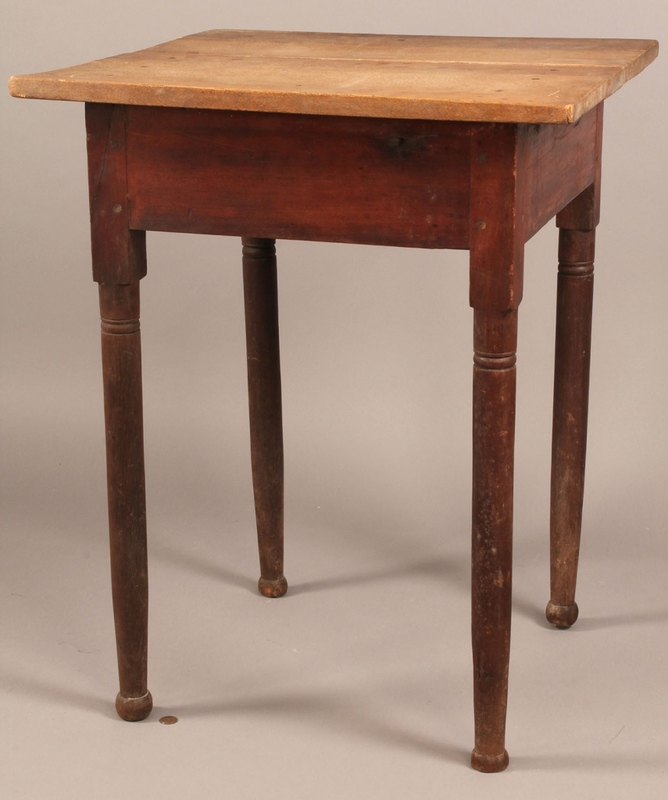 Sheraton stand with cherry in an old surface with turned legs on button feet with late19th century top. 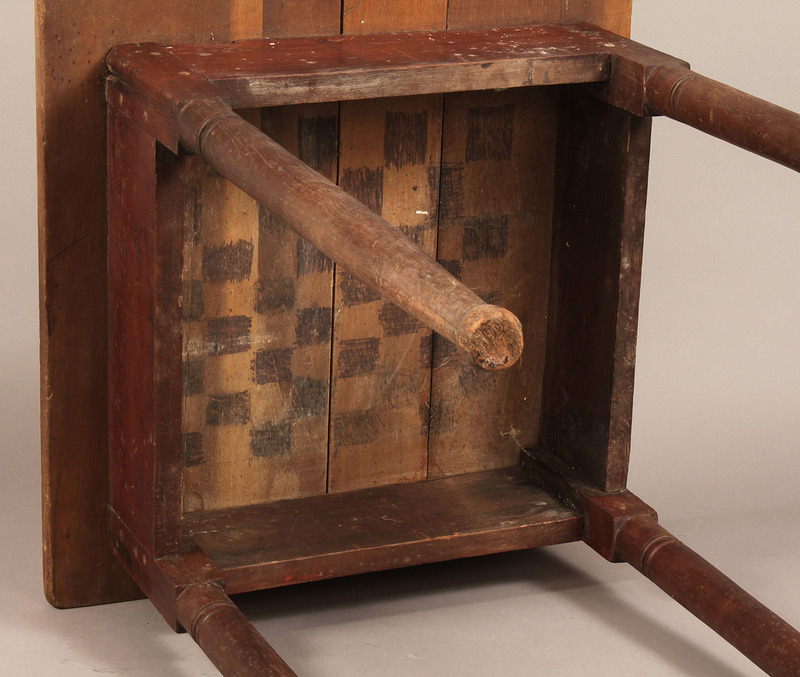 Reverse side of top with old painted checkerboard. 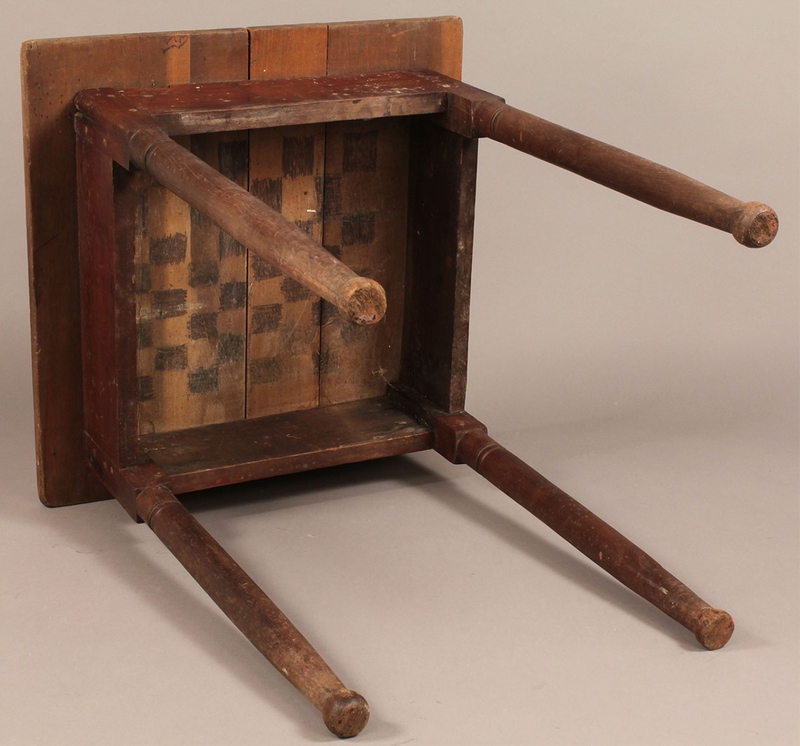 27" H x 21" W x 20 1/2" D. 19th Century. 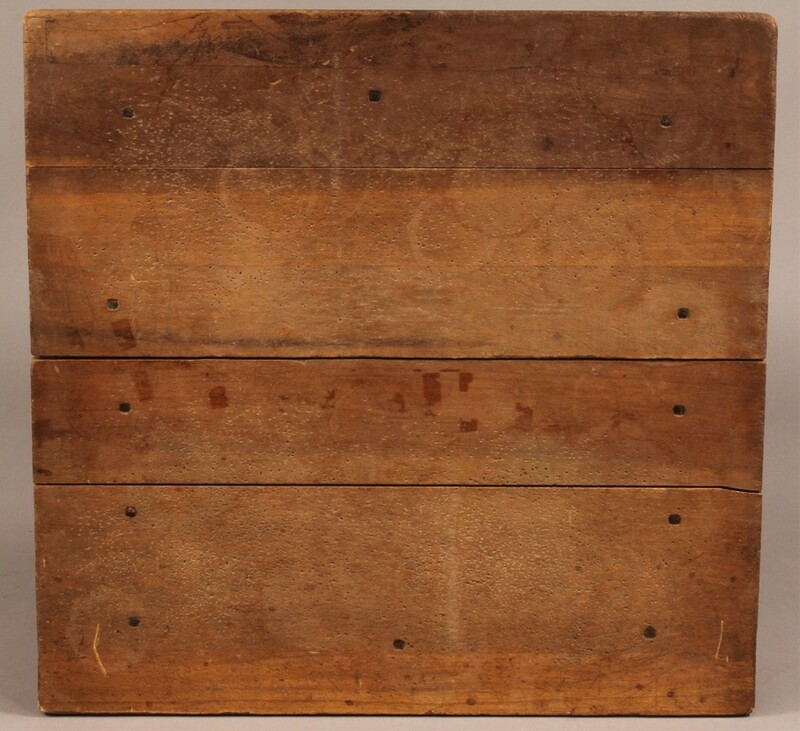 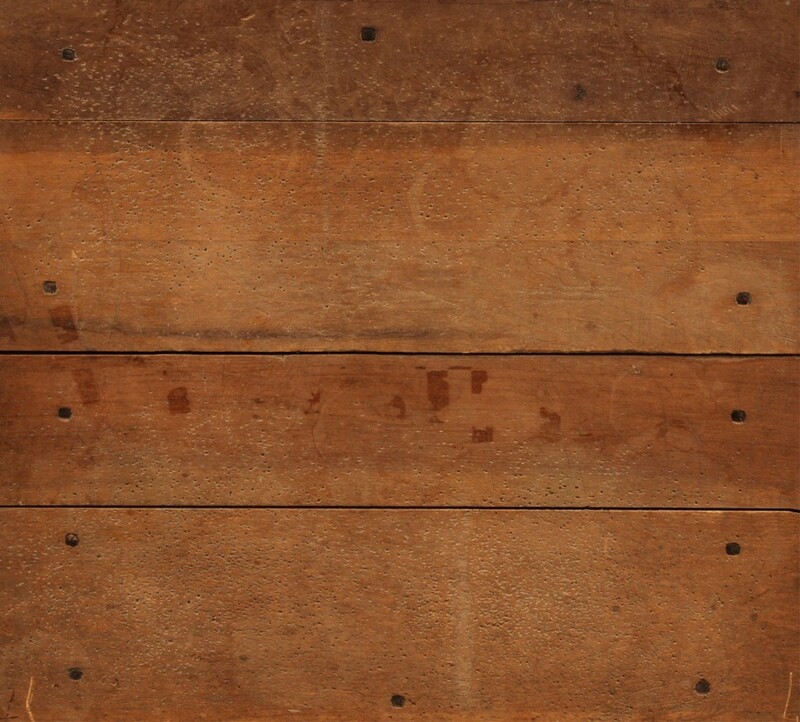 Provenance: estate of A. Welling LaGrone Jr., Nashville, Tenn. 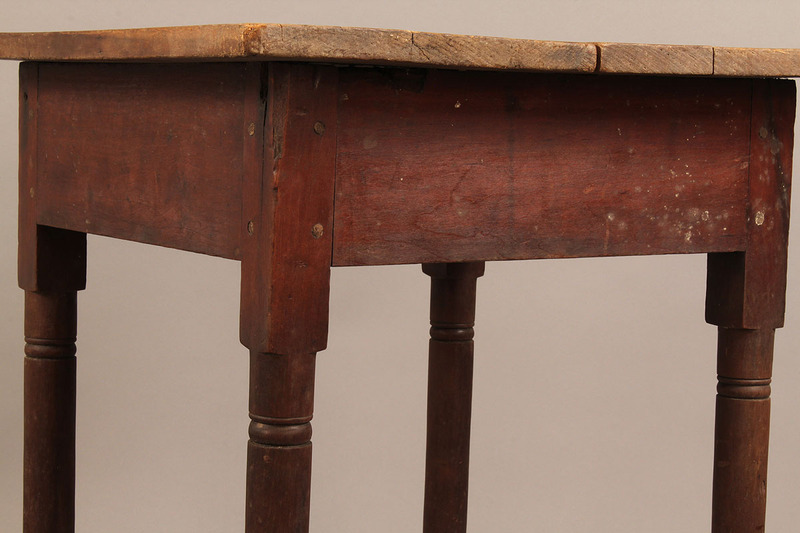 Condition: Later top appears to have been replaced in late 19th century.